Winter fashion has been sort of a dream for me. Living in Pune and partying in Mumbai, certainly did not help! I always looked at the beautiful women up north cozying up in scarves, beanies, boots and overcoats! Everyone looked just so smart! So one big exciting thing about moving to the the United States is embracing winter fashion and using the opportunity to invest in some versatile pieces. Nothing feels warm and fuzzy like fur! Well faux fur in my case. And this winter I am lusting after everything fur. 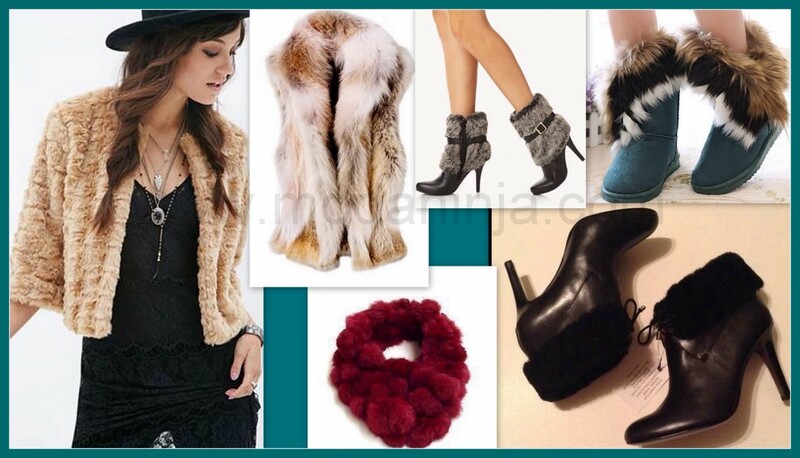 Snoods, scarves, vests, fur trimmed shoes, or a furry clutch. Yes, leather is a fall trend and some might argue that it is not a great pick for a snowy winter. 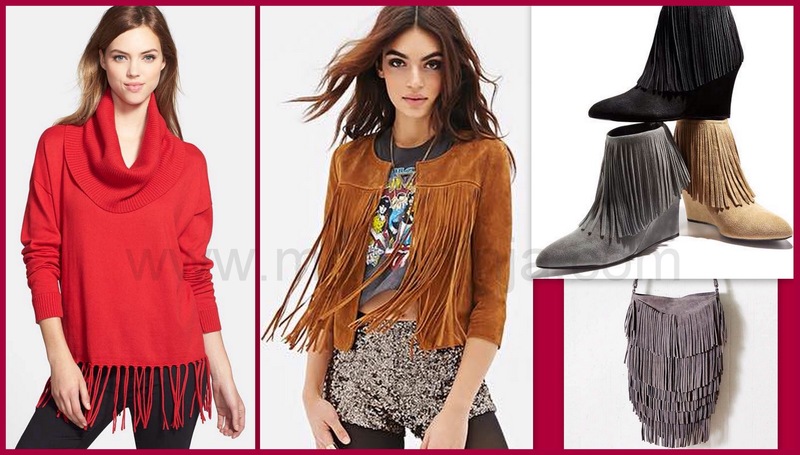 But this holiday season, I am looking to add a nice pair of leather panelled leggings or skinny pants to my wardrobe. One can dress up or dress down a pair of leather pants for a day in the city to a night out with your man! 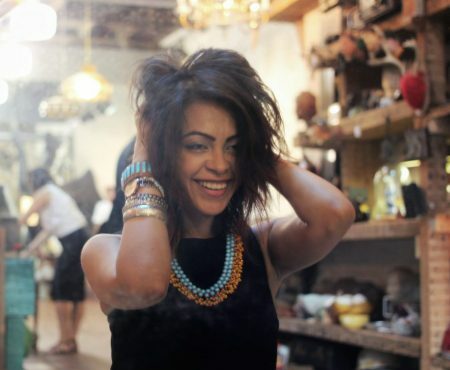 I have never been a fan of tassel or maybe because I never found a piece that was well made. My love for this trend started with a luxe cowl neck sweater I saw at Michael Kors and now I want tassels on jackets, bags, and booties! 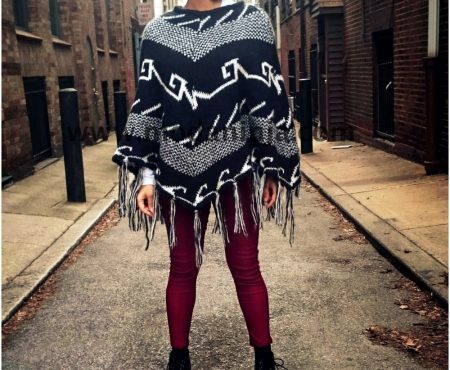 Ponchos are a great pick to layer. They work well with pants as well as skirts! 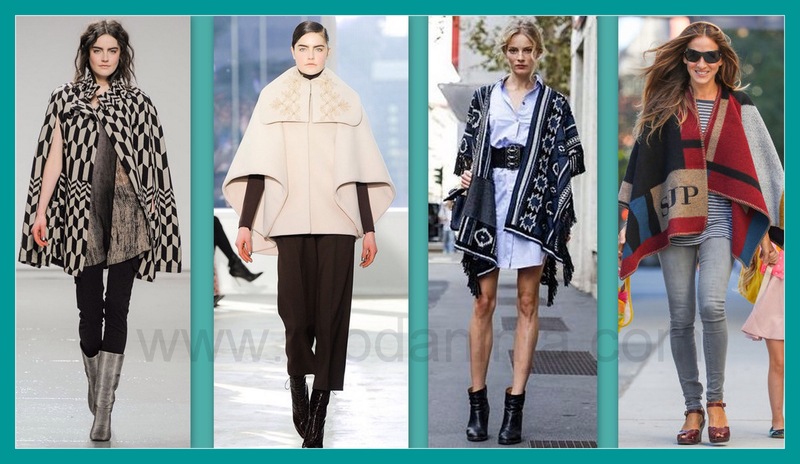 I want to invest in a soft and warm cashmere blend colourful poncho. I have a couple of pairs of boots to take me through winter, but a pair of over the knees would be a great addition for the holidays. A knit dress or leggings with sequin tee with a pair of over the knee could be my go to for a night out this season. While Stuart Weizmann may have made the most amazing pair of stretch over the knee boots, I am on the look out for a more affordable pair. What is your Christmas wish list? Share with me in comments below!. Hey, I loved your chic and fashinable list.. I too want something in fur and I am loving the luxe cowl neck sweater in red. I am sure I can make the best of them in Delhi itself, its too cold here. Thanks Manjulika, glad you liked it. The sweater is from Michael Kors!